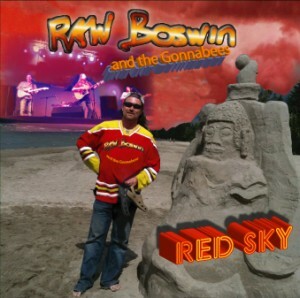 NEW “Red Sky” CD released!! 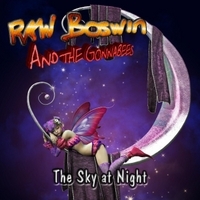 With some gentle prodding and a friendly shove, RAW Boswin and the Gonnabees have finally released their second CD. 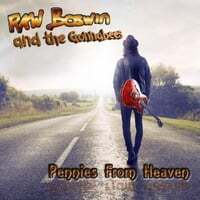 This is the first commercial release by Rob since 2000. I was hesitant to release another disc with the uncertain future of the New Music Business, but I have finally given in. This CD is the first of a series of CD’s that I am planning to release ASAP. I have been busy recording music for 11 years since “The Hard Way” was released and it is time to get rid of my backlog of material. The new disc, “Red Sky” has some really great musicians playing on it including Sandy Switzer, Mike B King, Ronnie Dyck, Ron Casat, Danny Patton, Darryl Britton, and Ross Watson. The songs are emotional and true to the RAW Boswin sound created on the 2000 release, The Hard Way. Stay tuned for details on how you can purchase your copy online, or come check out a local Open Mike to get one from me in person!